When you want reliable garage door replacement services, call on 31-W Insulation in Charlotte, North Carolina. Since 1972, our family-owned business has been providing residents throughout the region with an array of home improvement services, including garage door installations, and our long-held A+ rating from the Better Business Bureau testifies to our reputation for providing customer satisfaction. We will come to your home for a free consultation to help you choose a door that matches your home’s architectural style. Only our extensively trained employees – not subcontractors – will install your new garage door to ensure our high standards of workmanship are maintained. 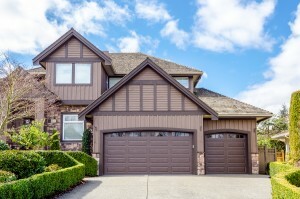 You can choose from a slew of design options for your door, including beautiful colors and woodgrain finishes, decorative hardware, and window shapes, which will make it easy to design a garage door that suits your taste. In addition, our doors are available in three different levels of insulation to help you improve your home’s energy efficiency. All of our doors, no matter what style or options you choose, also come with impressive warranties to give you assurance that your investment is protected. When you’re ready to get started on your garage door replacement project, contact 31-W Insulation, the home improvement company of choice in Charlotte, NC.